Wyevale Garden Centres’ ‘Garden Trend Report’ published earlier this year reveals that more than three quarters of the British public want to attract more wildlife to their garden. The survey of 15,000 garden-lovers from across the UK found that Brits are putting wildlife high on the gardening agenda, with 82% saying they want to attract more wildlife to their gardens and help the birds, bees and hedgehogs. Meanwhile, 86% of gardeners said they try to feed or provide a home for the birds in their garden, with 37% deeming wildlife to be the most appealing garden feature. Wyevale has teamed up with The Royal Society for the Protection of Birds (RSPB) to provide gardeners with tips on how to start creating safe, sustainable and environmentally friendly havens for wildlife to flourish through the cold season, suggesting other retailers can capitalise on the growing interest in the category. The colder months are a key time for gardeners to feed and protect wildlife, including birds, for whom food is scarce, and hedgehogs who are preparing to hibernate and need to boost their weight to make it through the winter. 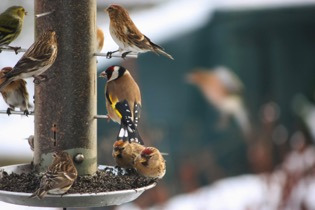 RSPB national account manager John Capper said: “Although feeding birds is important all year round, it can be life-saving during the winter – when food is scarce and the cold can take its toll. However, he does advise that certain food mixes are better than others – something retailers should take note of if they want their customers to have success with attracting birds to their garden. Meanwhile, Wyevale is advising gardeners to keep gardens untidy, so that hedgehogs, dormice and other wildlife can use the fallen leaves, twigs and dead vegetation in unkempt areas to build their nests. A wild area also provides a home for insects that hedgehogs and birds can feed on. Consumers may also look to purchase hedgehog homes and feeding stations during this period, as well as hedgehog food in the lead up to a cold snap, creating opportunities for retailers. 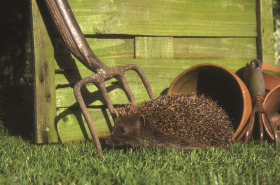 Wyevale Garden Centres also advises customers: “Shelter is essential for a hedgehog’s survival during the winter so choose a quiet spot that is unlikely to be disturbed from November to March when they will be hibernating. Compost heaps also provide another cosy location, so check for signs of wildlife before turning it and try not to empty your bin before April to avoid evicting any hibernating wildlife. Read more about opportunities in the category in DIY Week’s Pet & Wildlife range review in the October 12 issue.